New Study Reveals That One Size Doesn’t Fit All In Social Media Marketing. Posted on 2nd July 2012 at 11:11. If you’re a self-proclaimed social media expert and treat all social media applications in the same manner, then you’re heading for a fall. That’s the conclusion of the latest survey by social media engagement company, Buddy Media. The company surveyed 320 of the globe’s biggest brands including the likes of Coca Cola, Microsoft and Nike, to determine what works best in social media marketing and what generates the greatest levels of engagement. The results in many ways are predictable, but what may be of particular interest to anyone involved in the field is the conclusion that if you treat all social media applications and platforms in the same way, then you may in fact be damaging your online creditability and potentially reducing your bottom line. Buddy Media reached the conclusion that any company adopting a one-size-fits-all mentality to social media marketing are likely to come a cropper in the long term. So, where’s the evidence for this? Joe Ciarello, Buddy Media’s vice president of communications, explained that marketers need to know that they have to treat Facebook and Twitter as separate entities, and not use a broad brush approach with social media marketing if they want to create the best levels of customer engagement. What works on Facebook won’t generally work with Twitter, and the sooner companies realise this, the better. Speaking to VentureBeat, Ciarello explained that the survey’s findings indicated that if companies want to engage with customers on Facebook then they need to do this at different times than they would if they were trying to engage on Twitter. Because many people view Facebook as a leisure time activity engagement levels are highest in non-work hours. Twitter engagement levels are highest during working hours. However, he was also at pains to point out that these ‘optimum’ times vary from industry to industry. The study found that fashion brands rarely tweet at the weekends, yet that is when they get the greatest levels of engagement. Tweets – the shorter, the better. Although many marketers appreciated the instant nature of Twitter and its ability to get the message across quickly and concisely, there is still a bit of a gripe when it comes to only having 140 characters to play with. Many marketers would prefer more, but failing that they’ll use the full character complement come hell or high water. However, the study discovered that tweets containing less than 100 characters produced 17 percent better engagement: Ciarello believes the reason for this is because it leaves room for followers to add their own comments and thoughts in a re-tweet. Links on Twitter have often been regarded as a no-no, but the evidence would suggest that they are in fact perfectly acceptable: in fact, Buddy Media goes so far as to suggest that they are desirable. Links on Facebook on the other hand, are generally perceived to be undesirable, or at least counter-productive. 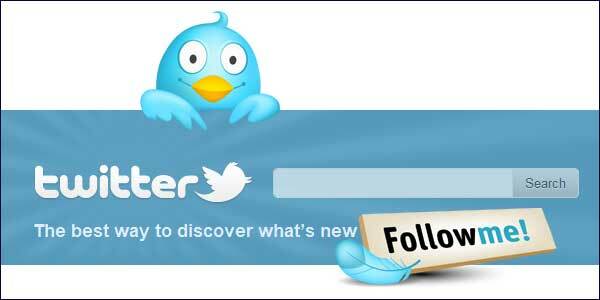 Tweets which displayed working links produced levels of engagement 86 percent higher than those without. What surprised Buddy Media was the number of links used by these major companies that were either broken or error-strewn. Ciarello maintains that if you’re going to use a link make sure it works, or it will only damage the reputation of your brand. Less is often more with Twitter. How often should businesses tweet each day? Well, according to Buddy Media the evidence would suggest somewhere between 1 and 4 times. Any more will irritate followers and potentially damage the reputation of the brand. Those companies tweeting in excess of 20 times a day either lost their followers or attracted negative comments. Images are actually useful additions. The use of images in tweets proved to be positive surprisingly. This was probably the only area in which Twitter and Facebook were similar, and both were valuable when companies wanted to increase engagement levels. This might seem counter-intuitive, as images are not seen by default in the Twitter stream, and typically require an extra click to view. Yet followers seemed to like the use of images and engaged more readily with the companies who used them. Don’t be afraid to ask for re-tweets, but don’t overdo it. Asking for a re-tweet is no different than any other call to action, yet many people are loath to include it in their tweets. The reason for this reluctance is uncertain: it might simply be modesty, or it might just not feel right. Ciarello, however, maintains that the survey establishes clearly that those companies that ask for re-tweets generate better levels of engagement than those that don’t. If you want followers to share your content, then ask them to do so. However, don’t do it too often. Are ‘Live’ Social Media Marketing Campaigns Now An End In Themselves, Or Merely A Stepping Stone To Greater Customer Engagement?Internet Marketing: Don’t Focus On The Process, Promote The Brand.